Is Vector a good employer? Is Vector an enjoyable place to work? Is a job with Vector satisfying? There are no general answers to these questions. Rather, it depends who you ask. We have asked our employees – many, in fact – working in a wide range of positions. 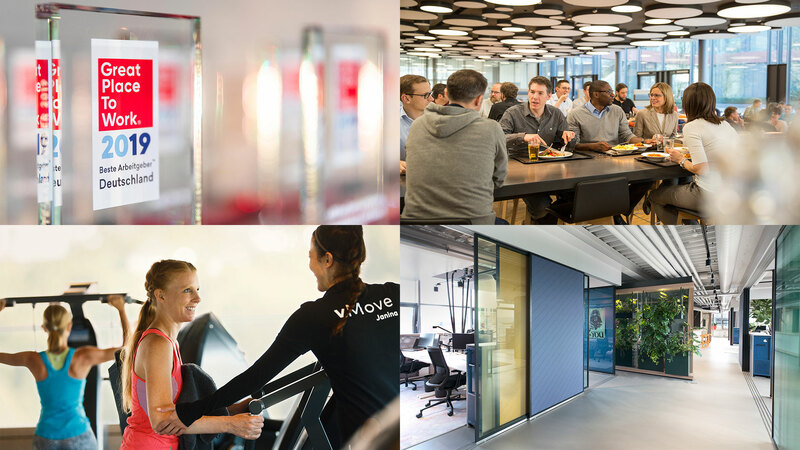 Vector claimed an outstanding second place in the 2019 Germany-wide "Great Place to Work" competition in the category for companies with between 501 and 2,000 employees. Better said: we had the questions be asked independently and neutrally. By the German “Great Place to Work” Institute of Cologne. Since 2005, we regularly take part in the institute’s Germany-wide study and have the quality and attractiveness of Vector as an employer examined. This year, we were one of 680 companies that wanted to know where they stand and whether they may count themselves among the best employers in Germany. The result? Vector employees attest that their employer provides an outstanding workplace culture: Vector placed second in the “Great Place to Work” overall evaluation for “Best Employer in Germany” for companies with between 501 and 2000 employees. In Baden-Württemberg, we are the best-ranked mid-sized employer in this category. And in 2019, we can also call ourselves the second-best employer with more than 1000 employees in the information and communication technology sector. We are proud of the ↗ “Great Place to Work 2019” seal (in German) and thank everyone who contributed by providing their feedback! It is incentive for us to continue to design and further develop workplaces at which every Vector employee enjoys working. We believe that this cultural work is a prerequisite for continuing to develop the best solutions for and with our customers. And what do workplaces designed in such a way look like at Vector? ↗ Like this. PS: Once doesn’t count? Vector also once again did extremely well this year in the ↗ “FOCUS Employer Rankings” (in German): In the electronics and electrical engineering industry comparison, we took first place. The study was performed by FOCUS magazine in cooperation with Statista, Kununu and Xing and published in February 2019. Via the ↗ Kununu evaluation portal (in German), approximately 200 employees rate Vector as having a very high workplace quality: the average assessment is 4.3 of 5.